Business finance is a critical part to running a successful business. Depending on the business model, it can often be necessary to raise capital to finance inventory, debtors or acquisitions. Plan 4 Profit has 30 years experience in working with lenders and can assist in creating business plans to prove the validity of your proposal. 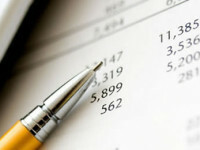 We can work with your accounting staff or outside accounting firms to ensure that you have the best chance of success.